“Apocalypse Knights” is a free Action Game. It’s up to you, the heroic knight, to take back lands tainted with darkness. You shall save the world with blessed weapons, armors, ultimate skills, and holy horses. Come, your destiny awaits! In the coming future, you are the knight faced with demons released from the melted Arctic / Antarctic zones. With refined weapons, biochemical mounts, and skills, you can conquer the demons and devils in all waves. ‧You can get more attacks with progression. ‧Unleash the ultimate skill to kill demons. ‧Each weapon has a unique ultimate skill. Collect as many weapons as possible to see all the cool moves and defeat bosses. ‧Your mount is your partner. You can active mount mode to enhance attributes. ‧Fight with mounts and enjoy the blazing speed while you smash barriers. ‧Collect all kinds of mounts and impress your friends. ‧The end of the world in “Apocalypse Knights” is coming and you from the end of world. ‧You can experience 10 levels of difficulty, 6 different scenes, and many kinds of monsters. ‧Knockout endless waves of monsters and earn special rewards in the ultimate instance mode. ‧ You can find ultimate weapons and armors from the shop. ‧Look closely to find legendary weapons and armors. ‧Take the mystic potions and improve your character ability. ‧Combing a modern, medieval influenced visual style. You’re the ultimate knight with the mission to fight the demons. ‧Enjoy the astounding audio experience of your spear piercing through a zombie’s gut or your broadsword slashing through witches. ‧We utilize the best performing engine to power up visual, resolution, sound and game controls. 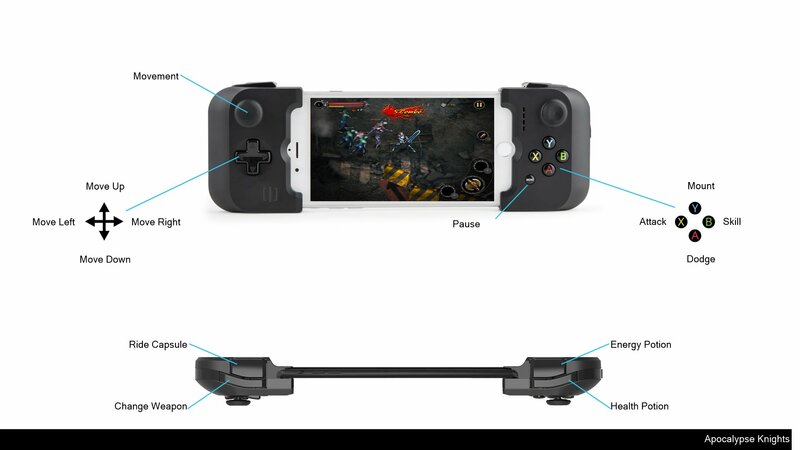 ※※※※ Strongly recommend to enjoy the ultimate gaming experience on iPad 2 or above.